Celluloid Junkie has partnered with the Coca-Cola Company for a series of sponsored features highlighting what Coke does in cinemas, as well as exploring insights in retail both inside and outside the cinema industry. In this article we summarise the Retail Seminar hosted by Coca-Cola at CineEurope 2017. We are grateful to Coke for the opportunity to highlight insights in the cinema food and beverage sector. “Three hundred million customers are visiting your cinemas in Europe and not buying anything,” was how Coca-Cola’s International Director of Cinema and Leisure Corinne Thibaut opened this year’s CineEurope Retail Seminar. The opportunity/challenge facing cinemas was tackled with blistering speed, a hailstorm of facts and an avalanche of examples over the next hour. 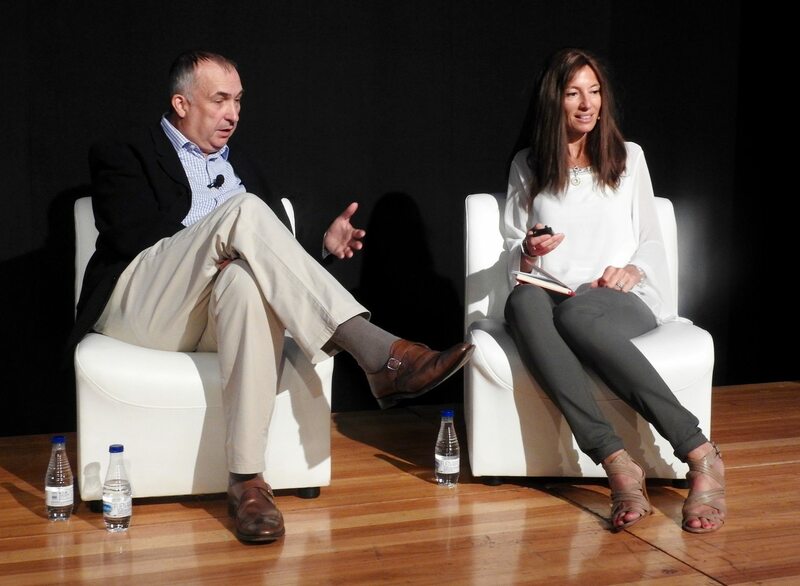 With 30% of movie goers not buying anything, “you have a massive headroom for growth in retail,” she admonished the audience and went on to demonstrate why the Retail Seminar is both the most meticulously prepared and best attended of all the sessions at each year’s Barcelona event. Many of the topics and themes were familiar to those that attended previous Retail Seminars, but Thibaut and her team managed to keep the content fresh by sourcing only the finest ingredients from around the world – more precisely, the best speakers and interesting case studies. 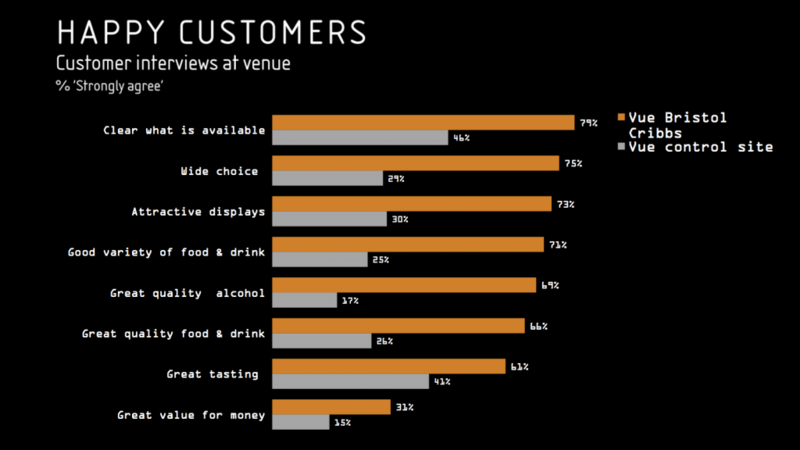 “Box office 33%, F&B 67%, spend-per-head EUR €16, occupancy 60%,” those are the mouth-watering statistics of Alamo Drafthouse, the United States-based cinema chain with the slogan “the best film, food, and drink all in one seat.” But the example of Australia’s Hoyts Chadstone multiplex proved that even without in-house dining big multiplexes can achieve double digit spend per head. “Sorry, every year I bother you with it, but you have four levers to grow your revenue,” Thibaut chastised her audience, before bringing out the PITA model: Population x Incidence x Transaction Size x Amount. 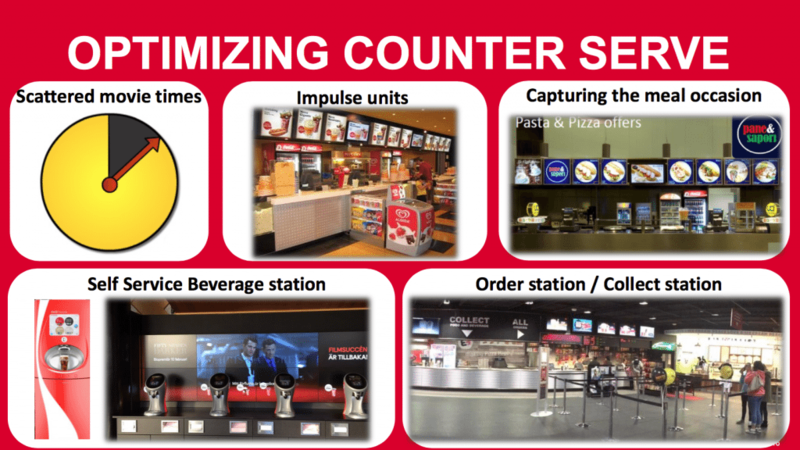 Optimizing Counter Serve and Self Serve were both highlighted, with Kinepolis introduction of Mega Candy converted waiting time into shopping time while selling more with less staff. 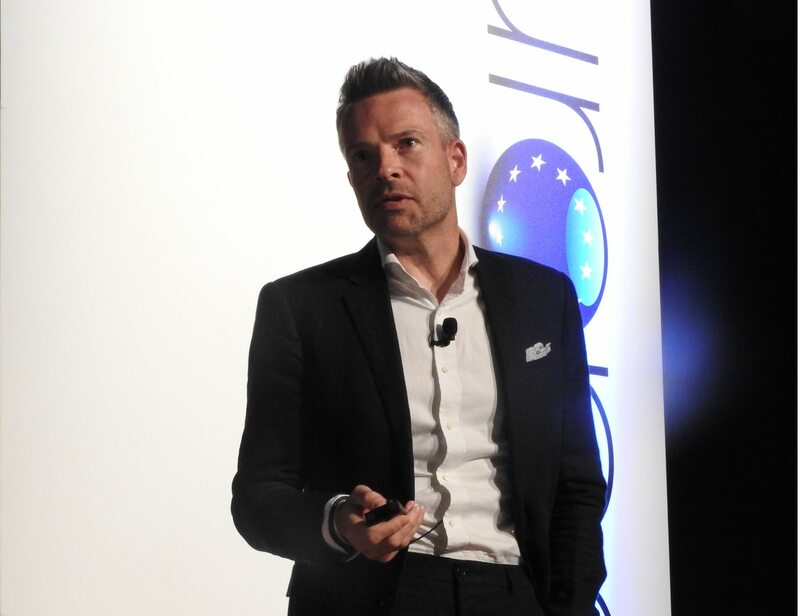 “Experiential retail and walk-through is known from airport duty-free but has been adopted by several cinemas and is working well,” said Thibaut pointing to the example of Pathe. He then went through ways to eliminate stress point with tech and design: paperless ticketing, how we are wired to turn right, having a robust sampling programme, investing in good display screens (“but use them judiciously,” because customers “don’t turn up for a good read”), take into account the ‘body bubble’ for flow management, introducing shopping baskets and high quality fixturisation. “Get quality to stand out,” Styles stressed. “If you see engagement coming through, dwell time increases,” and spend follows. Having concluded that design, merchandising and operations are the three critical elements, Styles then handed the seminar back to Thibaut. “Companies which have been able to disrupt existing business models by leveraging new technologies are experiencing comfortable growth (think of the Amazon, Uber, JustEast” she observed. “It is not that people are not buying or buying differently,” but “the problem is companies not listening to their customers.” She then quoted Ogilvy’s Alberto Brea, who said that “Amazon did not kill the retail industry. They did it themselves with bad customer service.” The same could be argued for Netflix-Blockbuster, Uber-taxis, etc. As consumers’ needs evolve, “retail will change more in the next five years than in the past 50 years,” Thibaut echoed Advertising Age’s take on the retail evolution. McDonalds is an example of modern food services evolving, with accessibility (self-service kiosks and pick-up points), in-store technology (devices notifying you when your order is ready) and delivery (table service trials). Could self-ordering kiosks work in cinemas she asked? A ‘Best Practice’ example from CGR shows great results in growing major key performance indicators. She then looked at Dominos Pizza. “They don’t see themselves as a pizza company but as an e-commerce company.” Starbucks now has 26% of transactions over its app. The benefit of all this is that it generates data, a fact which neatly led to the next speaker. 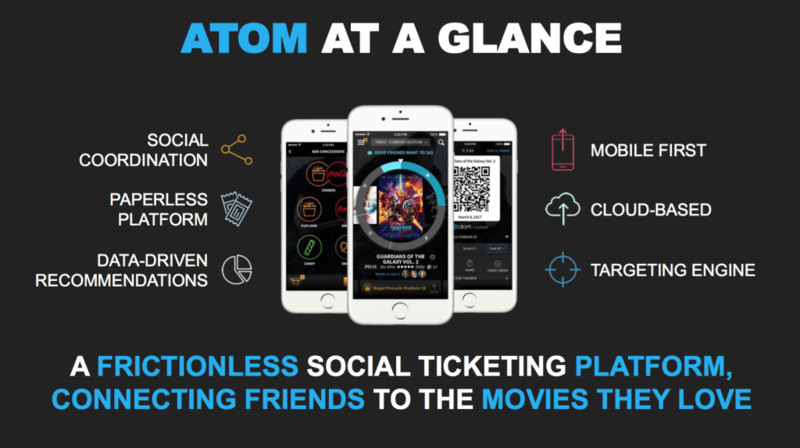 Atom Tickets’ Matthew Bakal rushed through everything about its online ticketing platform in the United States, which counts Disney, Fox, Lionsgate and directors like Spielberg and J.J. Abrams on its board. It provides personalisation and recommendations for discovery, as well as enabling things such as a group of individuals to buy tickets together. Using geo-location it provides a “seamless guest experience” including pre-ordering of concessions for just-in-time preparation and express pick-up. The app has high customer satisfaction. Atom Tickets conducted a trial in the second quarter of 2016 with a ‘midsize North American exhibitor’ for the pre-order of concessions. This drove customer conversion and built new customer habits with a 39% increase in per cap spending and an average of 2.5 items per order. Learnings included robust promotion engines, with cinemas and brands providing customer offers, as well as customer messaging capabilities to drive awareness and action. When Odeon and UCI merged 10-12 years ago there was a difference of retail spend of 27% with UCI having higher spend than Odeon. My job was to fix that and close the gap as quickly as possible. UCI was 100% counter service and Odeon was 100% self-service. I believed that converting to counter service would increase spend, but there was also a stronger retail culture in UCI, whereas Odeon managers were traditionalists and focused on showing movies, and staff was not knowledgable about the product and trained properly. So we invested in training and switched to counter serve and within three years we saw that gap close. In the last five years, however, Odeon has been moving back towards self-serve in terms of putting products in front of customers. 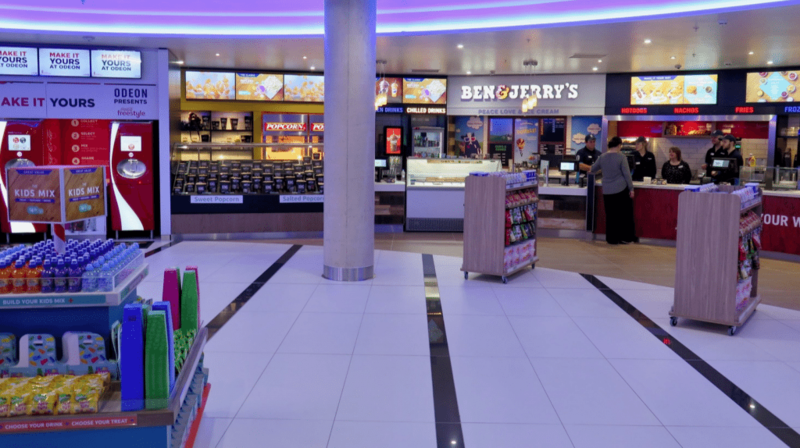 “We took kids meals out form behind the counter and we saw amazing increase in sales.” This trend is epitomised by Odeon’s new flagship cinema in Bournemouth. This site saw Odeon’s first Coke Freestyle site and also featured ‘the Beast’, which is a stepper self-serve popcorn machine. “It is a step counter, so it brings a bit of theatre” to retail observed Reynolds. This has resulted in the highest incidence of popcorn in any of Odeon’s cinemas, and though Odeon might not do it again it will look at other innovative solutions. “We have tried many things over the years and the only thing that has stuck is Costa Coffee,” Reynolds noted. Responding to Thibaut’s question about retail priorities Reynolds pointed out that Odeon has improved hot dogs, improved toppings, nachos with three dips etc. This is similar to what AMC has been doing in the United States and the companies are currently trying to learn from each other. Reynolds admitted that even though Odeon has more money than before to invest, “we have prioritised investing in auditoriums and seats.” However washrooms and public areas are also important. In the old Odeon world where cash was limited we took the decision to invest in our people. We benchmarked employee satisfaction using the McKinsey Organisational Health Index or OHI. In three years we moved from being in the bottom quartile of all companies surveyed by McKinsey to now being in the top 10%. The combination of money to invest and a highly motivated workforce puts us in a great position to move forward. Another lesson Reynolds and his Odeon team learned was that un-branded coffee did not work, so Odeon now has 60 Costa Coffees in their cinemas. (“We would also not sell un-branded soft drinks,” he added, which Thibaut was happy to hear.) While Odeon is looking at new technology, Reynolds was candid that the company has to do some basic stuff better. A piece of technology is only as good as the operation that goes with it. We have a great operations team. They have to be coupled together. Physical presence is never solved by an app. Our goal is to deliver the audience and then hand them over to the cinemas. It has worked, though early days – we have been a couple of years in theatres, we have a lot of experience, but each theatre and circuit and staff is different. General Managers in those theatres can be the best help. 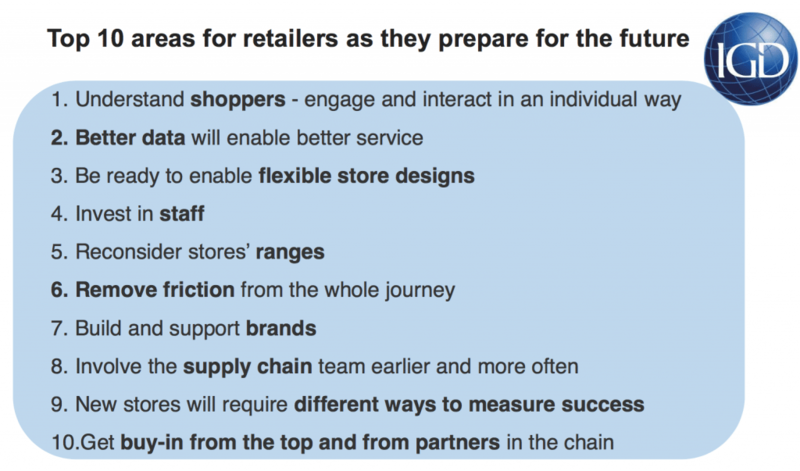 Lots of data is being gathered in traditional retail. That is good news from an e-commerce perspective. They [retailers] know you. They don’t track you for a bad reason; they want to make your life more convenient. We just offer up in first instance if you prefer Maltesers. If one day you try to be good and healthy, buy Coke and popcorn but no Maltesers, then we can remind you. The more you come back the more we know and can recommend. 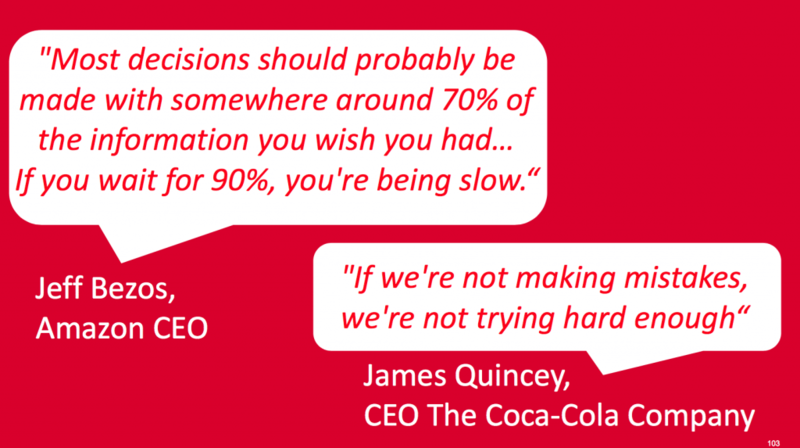 Thibaut ended with two quote from Amazon’s CEO Jeff Bezos and Coke’s CEO James Quincey about the need to act fast, even if you don’t have all the information and are afraid of making a mistake. Anyone who attended this sessions definitely walked away with with lots more information and hopefully inspired to try new things in cinema retail.